Universitas Muhammadiyah Yogyakarta (UMY) is a Muhammadiyah institution which possess a lot of inventory. On Saturday (19/5) at A.R. 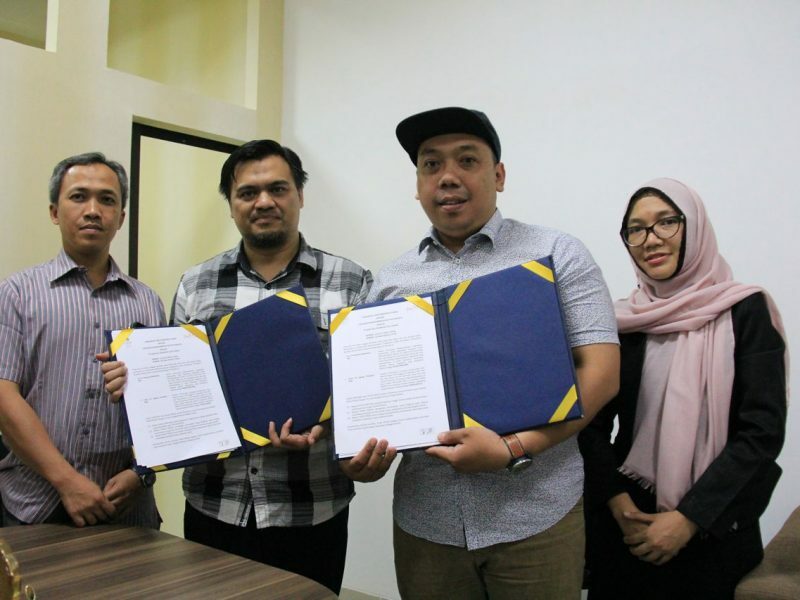 Fachruddin B, Vice Rector for Finance and Assets of UMY Dr. Suryo Pratolo, M.Si., Ak., CA., AAP signed an agreement with Day Trans to leverage UMY inventory. Suryo stated, “One of UMY’s assets is 700-square-meter land on Jalan M.T. Haryono and UMY leases it to Day Trans to build a 500-square-meter office and bus pool. “It is a strategic area and Day Trans rents 500 of 700 meters of areas for five years from June 2018 to January 2024.” The Day Trans is a transportation service provider that many tourists use it when visiting Yogyakarta. Besides, Day Trans and UMY also cooperates in advertising. Manager of Day Trans Dian Prio Utomo told that a logo of UMY will be on seats of buses of Day Trans and UMY magazines are provided on Day Trans cars so that passengers can read the magazines. “We will later discuss Day Trans as UMY’s advertising medium,” he said. Additionally, UMY Boga is a food court of UMY to be engaged in the cooperation. Dian revealed that Day Trans will provide passengers food and beverages from UMY Boga. “This are will also be our cooperation focus,” he ended.